Government Bonds Interest Rate - How Is It Determined? Government Bonds Interest Rate – How Is It Determined? How is the government bonds interest rate determined? This depends on the bond rate type used. The interest rates used for US government bond securities come in two varieties, fixed rate interest or inflation rate interest. Twice a year, in May and again in November, the Secretary of the Treasury will reveal the fixed interest government bond rates, although exactly how the rate is determined is not made public. This is the rate that will be used for the next six months as the fixed government bonds interest rate. When the fixed interest rate percentage is released this number will always be either zero or more than zero, and is never a negative number. The second type of interest rate possible when investing in government bonds is the inflation rate, which looks at the market and economic conditions as well as the fixed interest rate that has been set. This type of government bonds interest rate is also set twice a year, in May and November, by the Secretary of the Treasury. It is possible for this type of inflation rate to be determined as a negative number, and it is indexed to the inflation rate. I bonds interest rates use the inflation rate for interest calculation, and there are others which also use this formula and type instead of the fixed interest rate. With the inflation indexed government bonds interest rate the return you receive may fluctuate, depending on the conditions in the economy and markets. 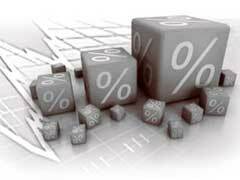 The interest rate will be determined according to the type of bond you have purchased. With treasury bonds rates that offer inflation adjusted interest there is an offset which is put into place, so that if the negative inflation rate becomes too high you still have some interest accumulation. The government bonds interest rate will change every six months, when the new rates are announced, and this is true regardless of the bond type that you purchase.